Vacuuming is a chore he asks to do often -- steps are his favorite! He also helps with dusting and sweeping. I try to make sure he knows how much I appreciate his help (and resist the temptation to redo things that were missed). 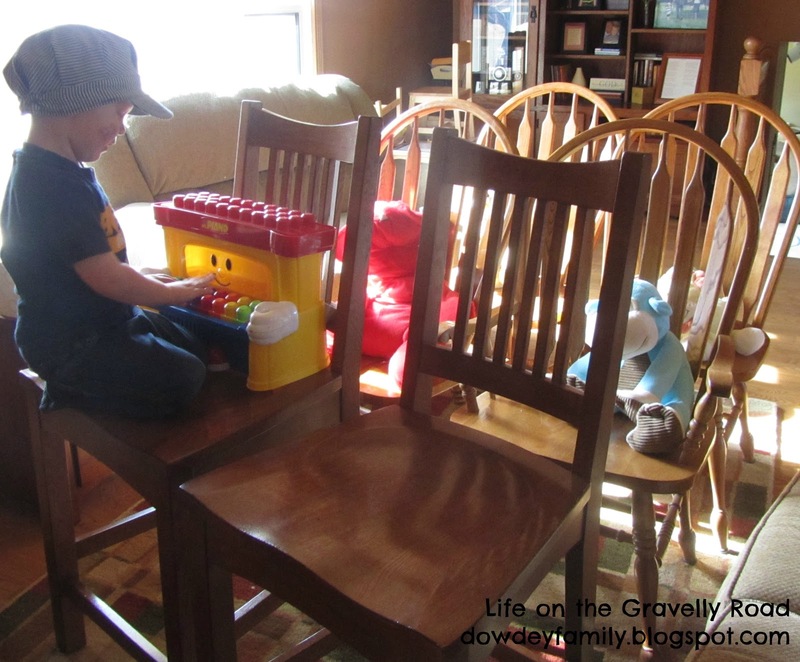 He also has his chores that are part of the routine each day - making his bed, feeding the dog, putting away his toys, setting table, and clearing his dishes. 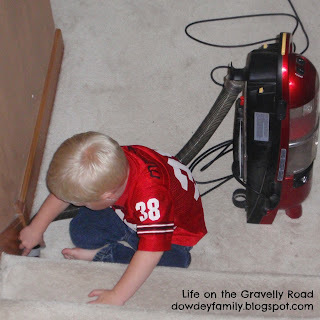 How do you involve your kids in cleaning?